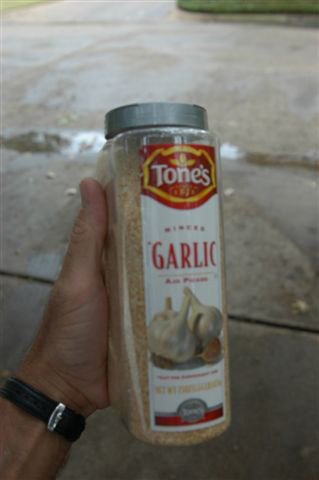 Garlic to chase away Mosquitoes For site use spray garlic tea over the entire problem area and for even more control broadcast dry minced garlic at 2 - 5 lbs per 1000 sq ft.
GARLIC (Allium spp). I recommend that everyone grow garlic because it has so many uses. Cloves should be planted in October. Society garlic Tulbaghia violacea) is the decorative perennial that has garlic chives like foliage and pink, blue, lavender or white flowers on stalks.